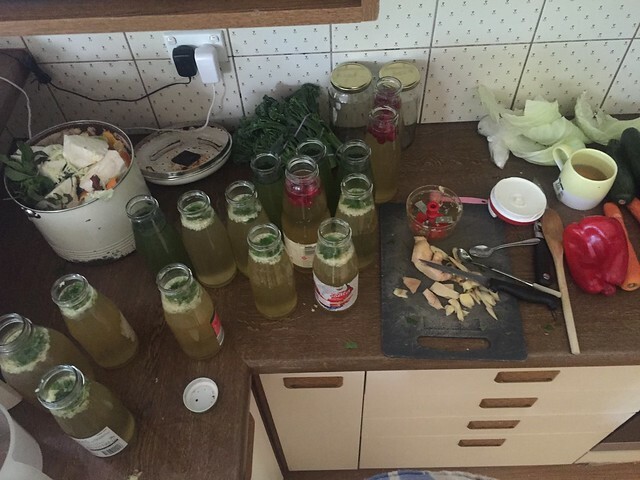 Most weekends I will spend between 4 – 6 hours undertaking some weekly food preparation. This does sound like a lot of time, but it is spread over 2 – 3 days (I sometimes make a start Friday night depending on what is on for the weekend.) 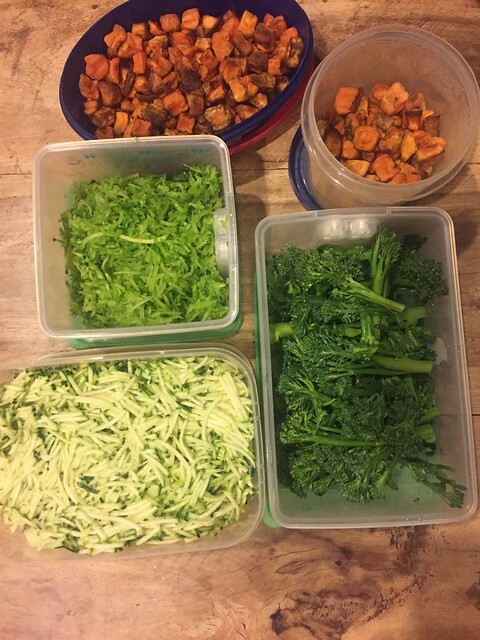 I find allocating time for weekly food prep over the weekend is worth the investment as it saves me time during the week and it means we all eat a healthier diet across the week. For the last couple of years I have been sharing photos and links of the recipes I cook up during my weekly food prep sessions on facebook using the hashtag #pwkprep which you can see here. 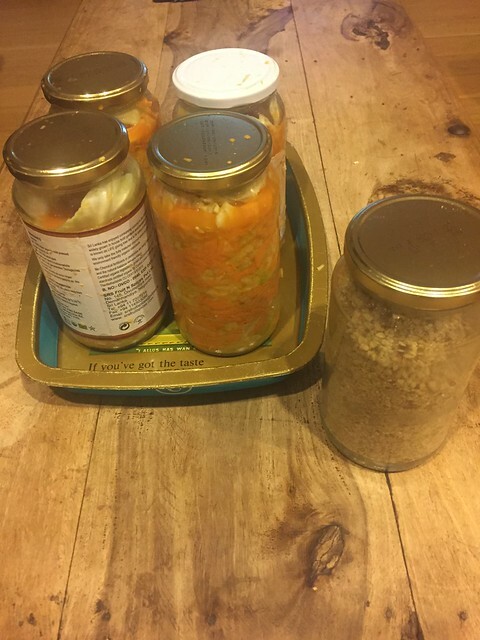 To be able to give more info I have written up an example of my weekly food prep sessions. We are now in post daylight savings time in Victoria so some of the photos have pretty ordinary lighting as they are taken early evening, but they still give a feel for the process and the outcome. Weekly food prep is easiest when you make it as automatic as possible. You don’t want to have to think about it too much or it will seem too hard and you will procrastinate and it won’t happen. I will detail how I approached it, but if you haven’t tried doing a weekly prep session before my suggestion is to start small. If you would like a step by step guide to follow including plans that tell you what to make when, you might like to check out my Meal Prep Primer E-course. For an evening meal on either Saturday or Sunday choose one that you can make in bulk to leave left overs for lunches. Two favourites for our family are to have tacos which I can then turn the left over meat into taco parcels and chicken schnitzel which I can then use as the main ingredient in wraps for the kids’ lunches. Sunday afternoon grab whatever kids are around and get them in the kitchen with you to make a simple sweet treat for the lunch box. Muffins are great for this, you can try Choc banana muffins (gluten, dairy and nut free) or choc chip muffins, Choc sunflower seed balls, quinoa snack balls or the traditional chocolate balls like I did (you can find a refined sugar free version of chocolate balls here). I need to work out what I want to make for the upcoming week. Sometimes I will do this Friday night, but most often it will be Saturday when I get home from Saturday morning sport. I have a look at my calendar and see what sort of week I have coming up and what the kids have on. I then check the menu plan and see what meals I have planned to cook over the weekend, I try where possible to include a meal that can help go towards school lunches in some way. I will ask the kids if they have any requests for lunch box food. 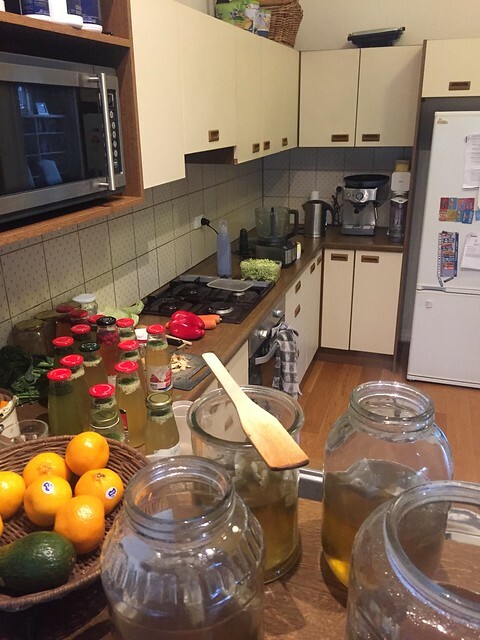 I will check the pantry and fridge to see what ingredients I have on hand and if any need to be used up. I will write the list of food I plan to cook/prepare over the weekend and write a list of ingredients I need to buy. I need to work out when I can fit in the time to cook/prepare the food around my commitments and the family commitments over the weekend. This will determine how much food prep I can do. Some weekends are incredibly full so I may only get to a savoury and sweet lunch box item. Others I have more time and can stock up. As I have cooked most of the items before, I have a rough idea of how long each recipe will take me. Food prep however, is always completed amongst the usual activities of family life – making kids lunch, talking with the kids, helping with homework, resolving disputes etc, so you need to always allow for more time than you think you need! I try to make at least two things each time I cook to save on set up, pack up and clean up time. Sometimes the order is based on what ingredients I have in the house, for example I had enough ingredients on hand to make two things Saturday and the rest waited until Sunday. Sunday morning I would shop for all the remaining necessary ingredients. I take into account things like cooking time or setting time, so I can make other things while that is happening. 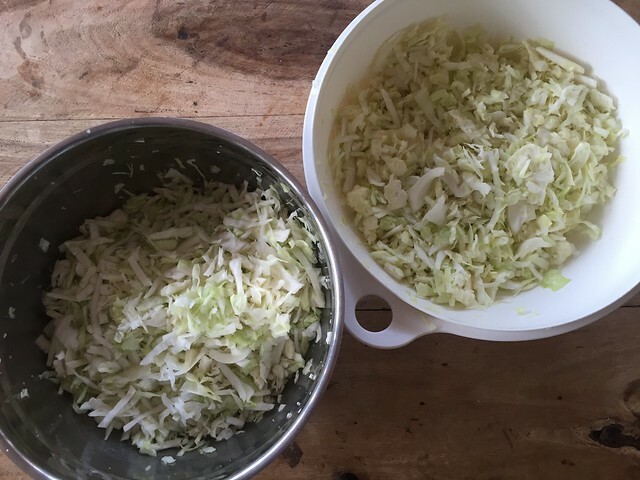 For example with the kimchi, I need to leave the salted cabbage for a couple of hours, so will prepare that first off and when I have cakes/muffins etc in the oven baking, I will wash and prep veggies to eat through out the week. As noted above, I try where I can to cook in bulk at least on evening meal over the weekend to help with lunch supplies, to help reduce the time I am in the kitchen. I get lots of questions on how long things store for etc. The food prep I do on the weekend for lunches for example will generally only last until about Wednesday at the latest. I do another bake up for lunches then. It is very rare for me to put food in the freezer to store as it doesn’t last that long. For things like cut veggies, using air tight containers, most of them will stay fresh until Fri.
We have a comparatively small fridge, so I always do a clean out each weekend of anything old (if there is any) to make room for the new. We also have a small bar fridge which we call the kids’ snack fridge which you can read about here. What this looks like in reality! Saturday afternoon I worked out what I was going to cook and when and what I needed to buy. Saturday night while making dinner I also made the dukkah and chocolate balls. I really try and minimise food wastage where I can. For example I chop off the ends of the baby broccoli and will shred them. I then add them to stir fries, or just quickly add some oil and garlic to a pan and have them as a green veg with my lunches. I do try to have the food prep finish up at dinner time, so we can have a relaxed Sunday evening. To help families kick start their weekly meal prep habit, I have created an online course called Meal Prep Primer! Meal Prep Primer shows you how to effectively plan your time in the kitchen over the weekend, and prep food that will make your week days easier. Plus there is a detailed video and other resources on the course website and further support emails to keep the habit going after three weeks.